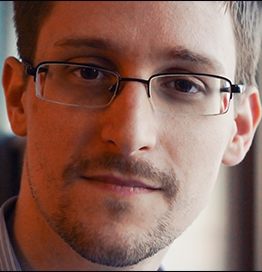 Edward Snowden is a former intelligence officer who served the CIA, NSA, and DIA for nearly a decade as a subject matter expert on technology and cybersecurity. In 2013, he revealed that the NSA was seizing the private records of billions of individuals who had not been suspected of any wrongdoing, resulting in the most significant reforms to US surveillance policy since 1978. He has received awards for courage, integrity, and public service, and was named the top global thinker of 2013 by Foreign Policy magazine. Today, he works on methods of enforcing human rights through the application and development of new technologies. He joined the board of Freedom of the Press Foundation in February 2014.